Apple Pay launched last fall in Canada for American Express cardholders only, which meant the majority of Visa and MasterCard users with cards from Canadian banks were left out in the cold. But that changed yesterday with expansion to Visa, MasterCard and Interac from RBC and CIBC, with TD, Scotiabank and BMO coming next month. Update: TD, Scotiabank and BMO Apple Pay support now LIVE! Here’s a quick primer on what you need to know about Apple Pay in Canada, now that ‘ish’ has just got real. Apple Pay allows you to add your credit or debit card to your iPhone or Apple Watch, so you can tap to pay with your smartphone at any supported Near Field Communication (NFC) terminal, but securely with Touch ID, without needing to have your physical cards on you. What banks support Apple Pay? 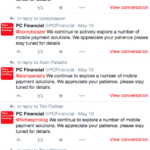 What took so long for Canadian banks to support Apple Pay? Apple says one reason for the delay was due to the integration of Interac, so debit cards could be supported too. Does it cost Canadian banks anything to use Apple Pay? Yes. Interchange fees are rumoured to be at 15 cents per every $100 spent using credit cards on Apple Pay and 4 cents per every $100 with debit cards. Where does Apple Pay work? What Device do I need to use Apple Pay? 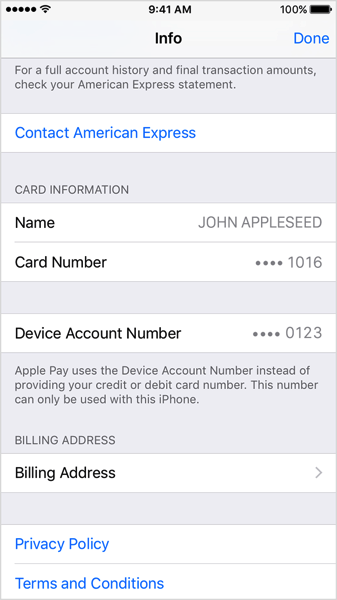 How do I setup Apple Pay on my iPhone? 1. 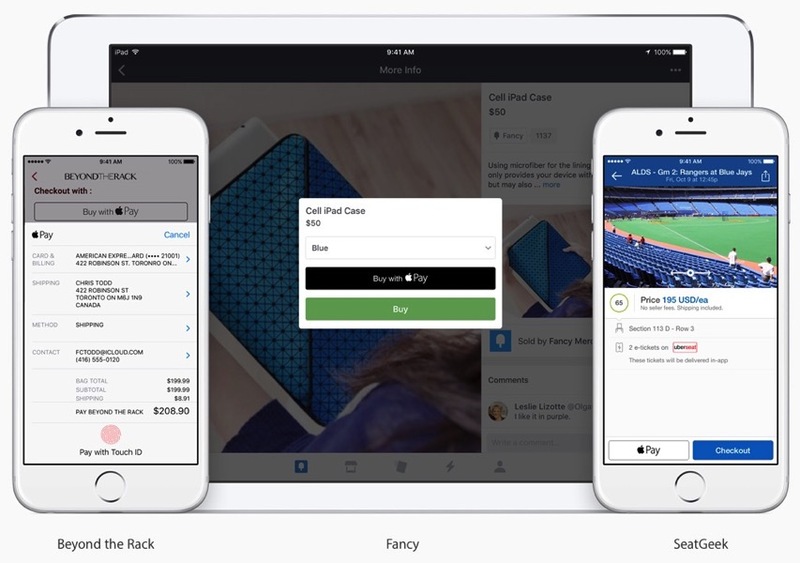 Launch the Wallet app on your iPhone 6, iPhone 6 Plus or iPhone SE. Tap the “+” icon in the top right corner and follow the prompts. 2. Your bank will ask for verification, either by phone, text or email. You can go to Settings > Wallet & Apple Pay, select your card, then enter in verification information. You can now use Apple Pay. RBC customers need the RBC Wallet iOS app to authenticate, but don’t need it to actually make Apple Pay purchases, despite the bank’s marketing instructions. How do I setup Apple Pay on my iPad? 1. Add your card by going to: Settings > Wallet & Apple Pay. Tap ‘Add Credit or Debit Card’. Follow the prompts. 2. Your bank may ask to verify your info. Go back to Settings > Wallet & Apple Pay, tap your card and enter it. You can now use Apple Pay. How do I setup Apple Pay on my Apple Watch? 1. Your watch needs to be paired to an iPhone 5 or newer running the latest version of watchOS. Launch the Watch app on your iPhone, tap the ‘My Watch’ tab along the bottom, then go to Wallet & Apple Pay. 2. Tap ‘Add Credit or Debit Card’ and follow the prompts; your bank may ask you to verify your card information. Once this is done, you can now use Apple Pay. What will be my default card on Apple Pay? The first card you setup on each device. How to change your default card: on iPhone, go to Settings > Wallet & Apple Pay; scroll down to Default Card and pick the card you want. How do I pay with Apple Pay using my iPhone? 1. At checkout, when the cashier asks what payment method you’re using, DO NOT SAY APPLE PAY at this time, as we’re so early it confuses employees. Just say you’re paying with credit card. 2. Once the terminal says to tap, with your thumb placed on Touch ID, move your phone to the terminal and it will automatically activate Apple Pay. You will see the Touch ID icon turn into a check mark, followed by a buzz and audible beep to indicate success. Right now, there’s a limit of $100 on Apple Pay purchases with Visa and MasterCard, but not with American Express (limited by the merchant’s machine or user’s credit card limit). RBC is telling its customers Apple Pay has a limit of $200. 3. 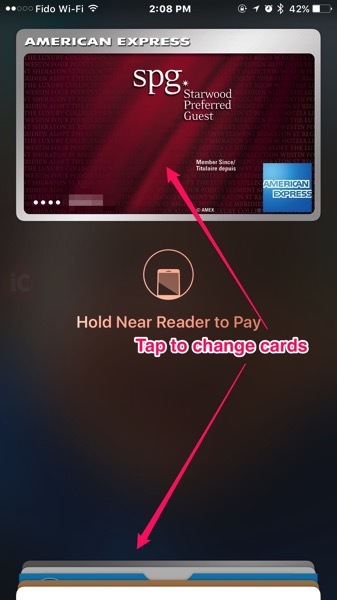 To change cards before paying, double-click the Home button from the lockscreen to bring up Apple Pay (can be toggled off in Wallet & Apple Pay settings). Either tap your existing card, or tap the stacked cards at the bottom to bring them up, then select the card you want to use. PSA: Let it be known, the Apple Pay ‘right of passage’ is having it fail on you, or not work despite showing “completed” on the terminal. This will always occur when you have a massive line up behind you (morning coffee line ups are common). Sweating and feeling anxious may occur, when your so-called Apple gadget doesn’t work, and you look like a sketchy weirdo trying to tap your wrist repeatedly to the terminal, mumbling “it should work this time, I’m sure.” (and it doesn’t). 1. 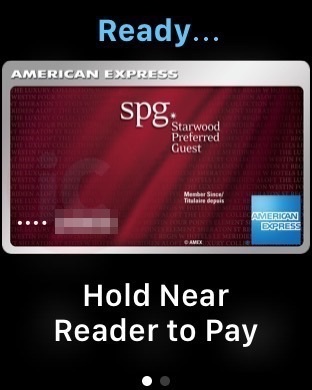 Double tap the side button—then hold your Apple Watch near the credit card terminal. Need to switch cards? Just slide left until you see the one you want to use. Your default card can be changed by going to My Watch > Wallet & Apple Pay and selecting your Default Card. You can also use Apple Watch on its own without having your iPhone with you for Apple Pay. This is handy if you’re out on a jog and have your Apple Watch—you can pop into any supported store to make purchases! How do I Pay with Apple Pay on my iPad? When it comes time to use Apple Pay for in-app purchases, just authorize your payment with Touch ID. What stores can I use Apple Pay at in Canada? Others include Shopper’s Drug Mart, Shell, Starbucks, Co-Op, Longo’s, Husky, Rexall, Jean Coutu, Municipal Parking, Ardene, Canada Computers, Save on Foods, TTC PRESTO stations and pretty much any other store you know of that supports tap. How Do I Return an Item with Apple Pay? Retailers will use the Device Account Number on your iPhone or Apple Watch to process your return. To get your refund, just hold your device to the terminal like you’re paying when prompted. My iPhone, iPad or Apple Watch is Lost or Stolen, Am I Hooped? Nope. Without Touch ID or your Apple Watch passcode, Apple Pay cannot be accessed. You can go to iCloud.com to also remove Apple Pay capabilities from devices. Apple Pay is safer than using a traditional credit or debit card. Every transaction on your iPhone or iPad requires you to authenticate with Touch ID or your passcode. Your Apple Watch is protected by the passcode that only you know, and your passcode is required every time you put on your Apple Watch. Your card number and identity aren’t shared with the merchant, and your actual card numbers aren’t stored on your device or on Apple servers. Not only is Apple Pay secure, but it’s also private too. Become an Apple Pay expert—try these 6 simple steps to ensure the fastest checkout every single time. What did we miss? Let us know how your Apple Pay experience has been so far–and don’t forget to share this FAQ with your friends and family.